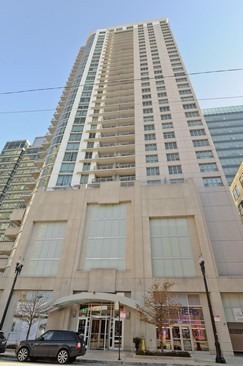 As one of the premier condominium buildings in Chicago’s West Loop, units at the Park Alexandria, located at 125 S. Jefferson, are often at a high demand and sell quickly. The building’s location is just off the Chicago Loop and offers a true walk-to-work location, which certainly adds to the appeal..
Each of the condos for sale at Park Alexandria at125 S. Jefferson offer some fabulous finishes and interior features, but the building itself is certainly one-of-a-kind. Door service, a party room, additional bike storage, a sun deck, on-site management, and valet and cleaning are all available here at The Park Alexandria, so make it a must-see building and schedule a showing today! In addition, Park Alexandria condos at 125 S. Jefferson are location in one of downtown Chicago's hottest and fastest growing neighborhoods. Restaurants, shopping, and more are all part of the Vibrant West Loop and to learn more about this desirable location, keep reading below! The West Loop is known for its loft real estate, renowned dining scene, and what’s now considered to be one of the more desirable neighborhoods in downtown Chicago. 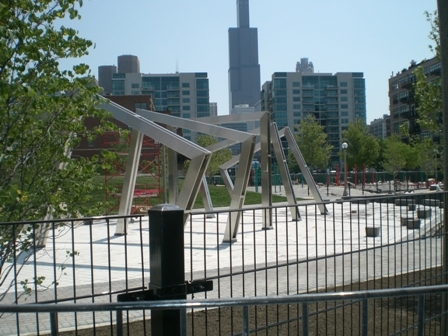 But if you’re already living in Chicago’s West Loop and love spending time outdoors, you likely already know that the Adams and Sangamon Park, located of course at the corner of Adams and Sangamon, is without question one of the true gems in the neighborhood. Its misting gateway entrance, along with the fabulous landscaping and lush green grass, make it hard to miss when driving or walking by, and locals in the West Loop are now making this a must-use space all throughout the beautiful summer months we see here in the city. Along with the park’s incredible design, Adams and Sangamon Park offers a fairly large playground space, a spate dog park, and ample room to lie out in the sun, read a book, or relax and just take in some people watching. So if you’re searching for a condo or loft for sale in Chicago’s West Loop, do yourself a favor and check out Adams and Sangamon Park. You won’t be disappointed, and who knows, living near the park may just influence your decision on just where to buy in the West Loop! For more information about Park Alexandria condos, contact us today!